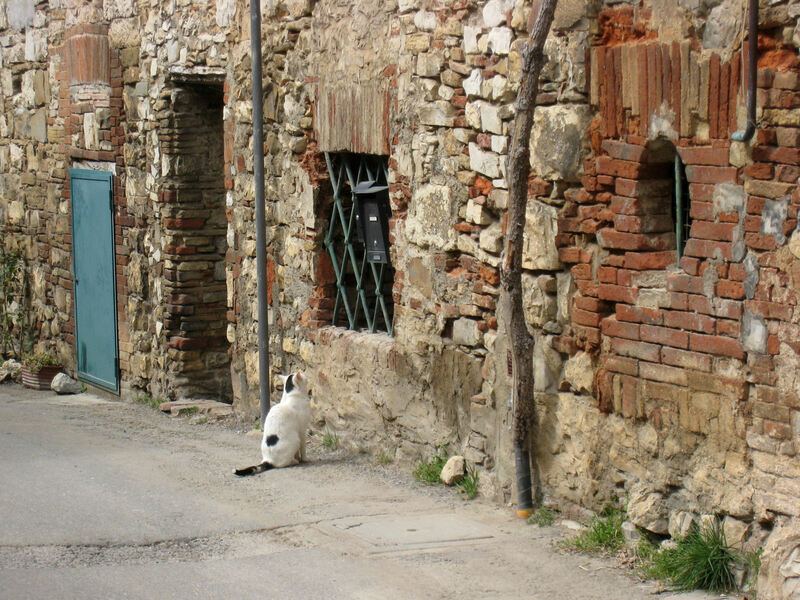 If the calendar page turns over from June to July and we still haven't made it back to Georgia, a good place to begin a search for us would be Fonterutoli (Fawn-tay-ROO-to-lee), a tiny hamlet in the Chianti Classico area of Tuscany. Thanks to a recommendation from an innkeeper in Florence, we chanced upon this charming little village and, after five wonderful days there, were reluctant to leave. Located on the top of a rise along the road from Castellina to Siena, Fonterutoli is no village come lately. It was known by the Romans, and before them the Etruscans, as a stopping place where travelers between Siena and Florence could find food and rest. Part of the Via Senese, the ancient road to Rome, can still be found in the village today. In the year 998, the Holy Roman Emperor selected Fonterutoli as the place to sign important documents, and in the 13th century, it was the site of peace treaty negotiations between rivals Siena and Florence. Walking through this tranquil village today, you can easily believe it's a place that time forgot. 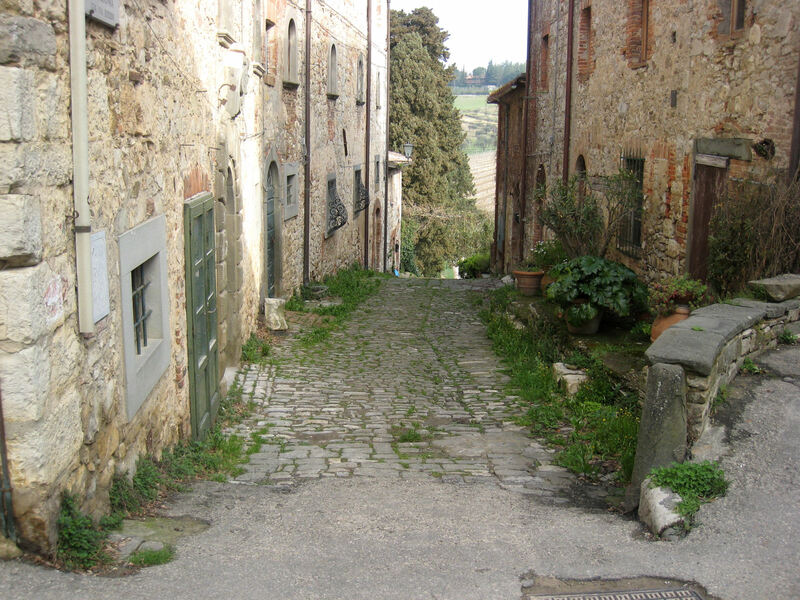 Parts of Fonterutoli still look as they did in medieval times. A church, a cluster of houses, and a few other buildings complete this haven for 80 residents. Owned by the Mazzei (mot-say) family since 1435, Fonterutoli is the center of the family's winemaking industry. All of the houses and buildings in the village are owned by the family, and its centerpiece is the family villa, built at the end of the 15th century on the site of a medieval castle. After 24 generations honing their craft, the Mazzeis are very good at winemaking and have established a stellar reputation, winning dozens of international awards for their vintages. One of the family ancestors, Filippo Mazzei (1730-1816) met Benjamin Franklin and Thomas Adams in London in colonial days. In 1773, they convinced Filippo to lead a group of Italians to Virginia to plant vineyards and the teach colonists the cultivation of olives. In the process, Mazzei met and developed a lifelong friendship with Thomas Jefferson, whose political leanings were compatible with his own. Today the winery is operated by another Filippo Mazzei and his brother Francesco. Unlike many ancient vintners, the Mazzeis do not have an archive of their old vintages. Because of the village's strategic location, it was occupied by the Germans during World War II. Depending on which story you believe, the winery's archives of vintages were either stolen by the Germans or destroyed by French Moroccan soldiers who liberated the hamlet at the end of the war. Either way, the oldest wines in their cellars today date back only to the 1950s, not much to show for almost 700 years of winemaking. 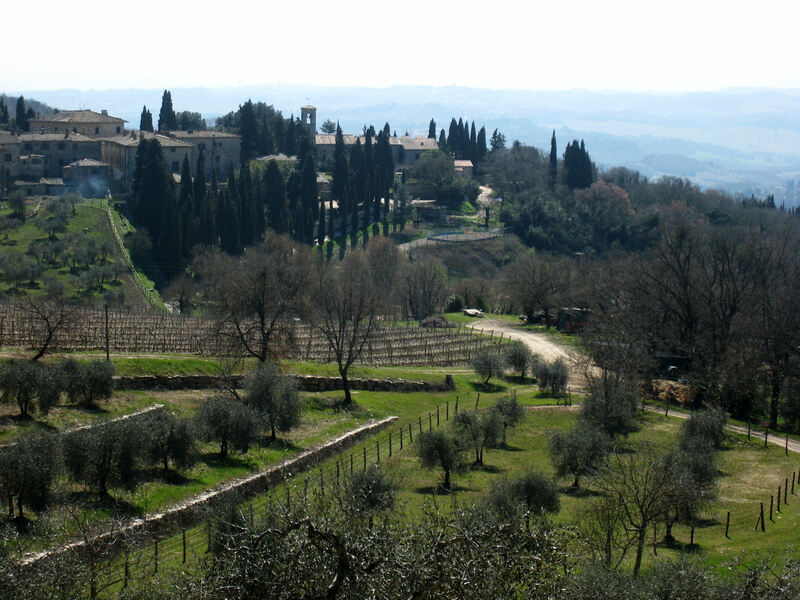 Our little Tuscan sanctuary here was in the Fonterutoli Inn, one of the historic estate houses which has been restored as a bed and breakfast. It has the authentic atmosphere of an old manor house with modern amenities disguised so as not to disturb the genteel old ambiance. 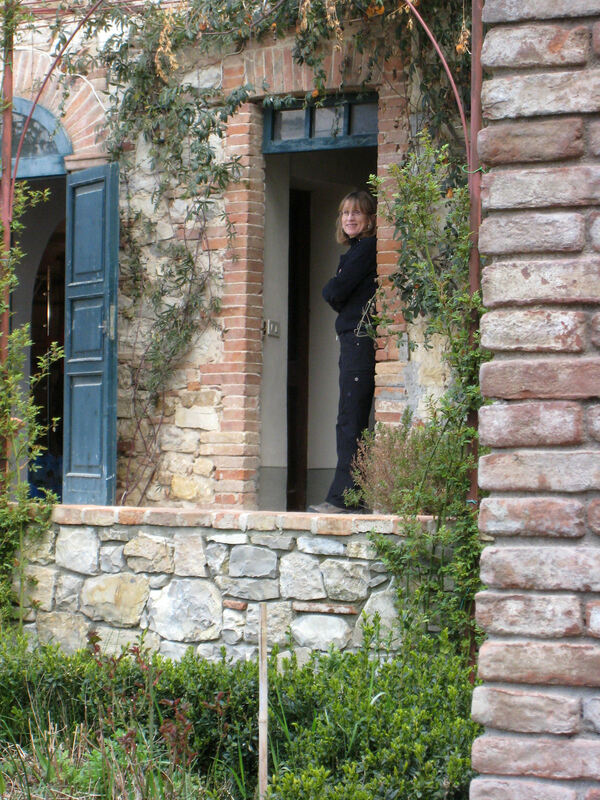 Our upstairs room had sunset views over the nearby vineyards and the rolling Tuscan hills. An excellent restaurant, the Osteria di Fonterutoli, is just across the main road, or the kitchen is available for preparing your own meals. This cozy hamlet is definitely a place we would love to return to some day, especially since we've finally learned to pronounce it-- sort of.